Outsiders is coming to WGN America in January, and the network is giving fans a look at this new drama with a release of new artwork and a trailer for the series. 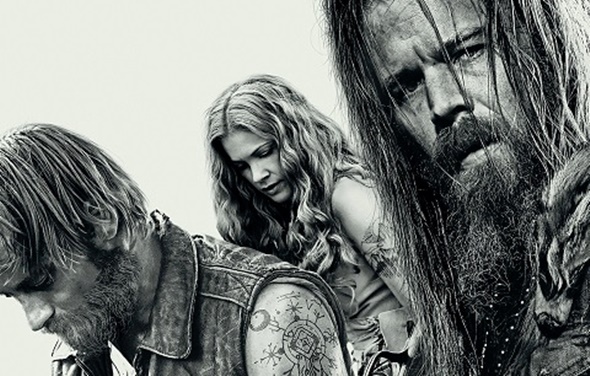 The series stars David Morse, Thomas M. Wright, Ryan Hurst, Kyle Gallner and Gillian Alexy. Find out more about this new series from the press release. 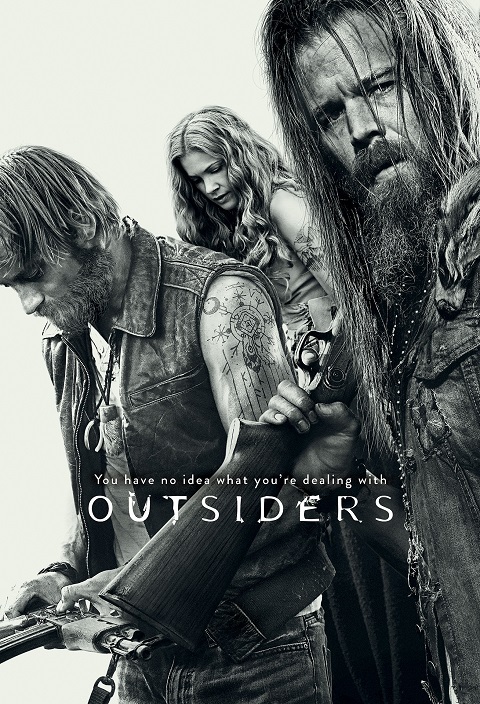 WGN America unveiled today the key art and compelling new trailer for its intense and gritty original drama “Outsiders,” which premieres Tuesday, January 26 at 9 PM ET/PT. The new trailer showcases the Farrell’s rallying cry, “Ged-Gedyah,” which loosely translates to “Hell Yeah,” signifiying clan unity as they gear up to take action. The ensemble cast for “Outsiders” includes: David Morse (“Treme,” “Hurt Locker”) as Big Foster, the gruff and powerful heir to tribe leadership; Thomas M. Wright (“The Bridge,” “Top of the Lake”) as Sheriff Wade Houghton, a cop who has a rough and mysterious history with the Farrells, and grapples with several personal troubles of his own; Ryan Hurst (“Sons of Anarchy,” “Bates Motel”), as Lil Foster, a massive mountain man and son of Big Foster; Joe Anderson (“The Divide,” “Across the Universe”) as Asa, a former member of the Farrell clan looking to rejoin the family after a 10-year stint with the outside world; Gillian Alexy (“The Americans,” “Damages”) as G’Winveer, a healer and a survivor, and Asa’s trusted confidante; Kyle Gallner (“American Sniper,” “Veronica Mars”) as Hasil, a young, intuitive soul who feels rejected by the group; Christina Jackson (“Boardwalk Empire,” “Deception”) as Sally-Ann, a beautiful girl from a mining town who is fascinated by the Farrells, and Hasil, in particular; Francie Swift (“Hostages,” “House of Cards”) as Haylie, a clever and cunning all-American community relations manager representing the encroaching coal company; and Phyllis Somerville (“The Curious Case of Benjamin Button,” “The Big C”) as Lady Ray, the regal yet tough leader of the Farrell clan. Hailing from Sony Pictures Television and Tribune Studios, “Outsiders,” is created and written by award-winning playwright Peter Mattei, who executive produces alongside Fedora Entertainment’s Emmy(R) Award-winner Peter Tolan (“Rescue Me,” “Analyze This”) and Michael Wimer (“2012,” “Rake”), and Touchy Feely Films’ Emmy(R) Award-winner Paul Giamatti (“John Adams,” “Sideways”) and Dan Carey (“All Is Bright”). Check out the new trailer and artwork for Outsiders below. Is this series on your list to watch in January? Tell us what you think. More about: Outsiders, Outsiders: canceled or renewed? Love the show outsiders! Glad to know it will be back! Looking forward to it ! My dad is from the deep mountains of harlan ky. Mom side is from a very long long ancestry in Ireland her family came to us very early in immigration travels ! Want to mess the hillbilly’s! The higher you go up in the mountains (deeper)the more unsafe it can become!